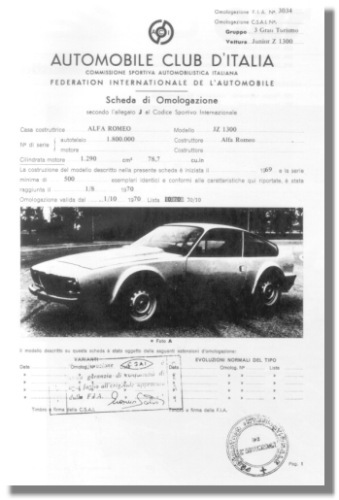 The Alfa Romeo Junior Zagato 1300 is FIA homologated for racing. Following is a scan of the front page of the homologation form. Clicking the picture will open up the complete document as a .pdf file. Thanks to Giovanni Groppi for provided the document and scan.